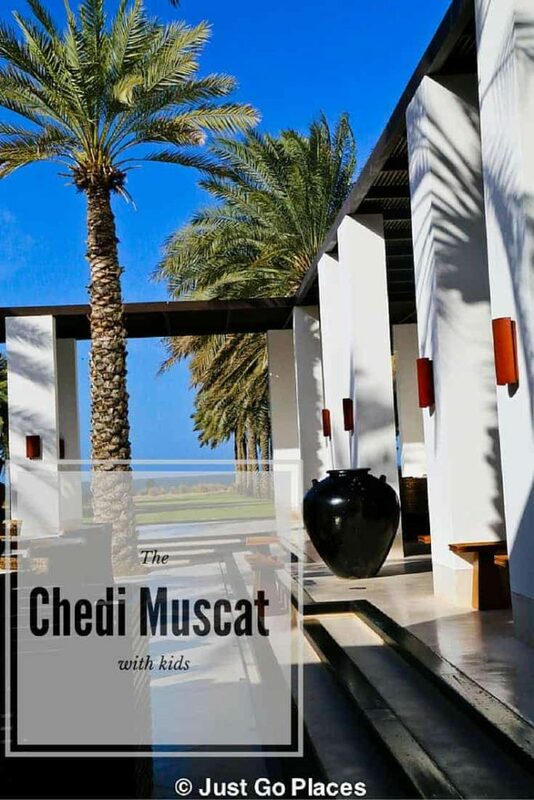 We waffled back and forth on booking the Chedi Muscat Hotel. 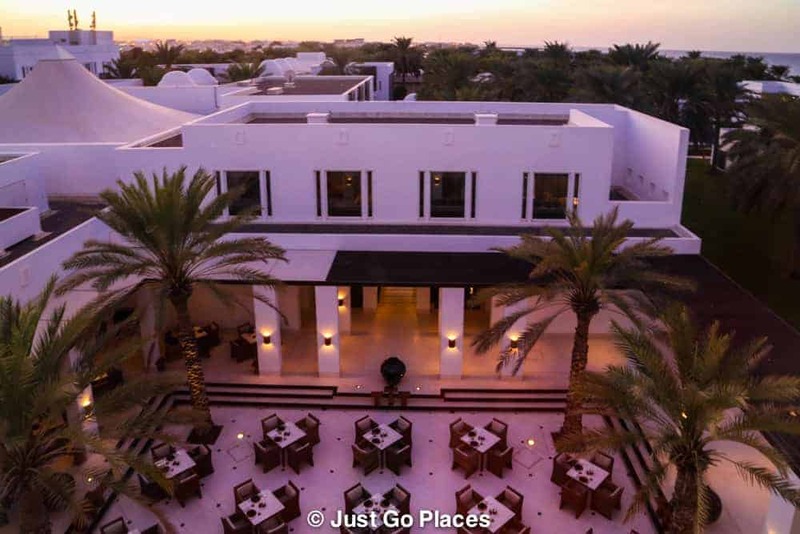 It was a choice between The Shangri La Hotel in Muscat and the Chedi Muscat Hotel. I know, I know – #firstworldproblems. 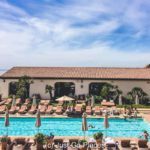 We booked The Chedi, then changed over to the Shangri La because everyone said it was better for families. After 3 days at the Shangri La, we transferred to The Chedi Muscat. 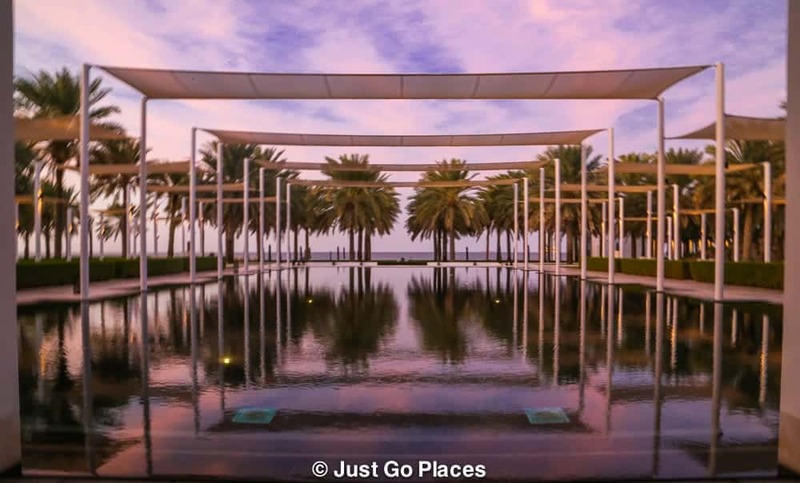 1 Is the Chedi Muscat Hotel Right for Families? 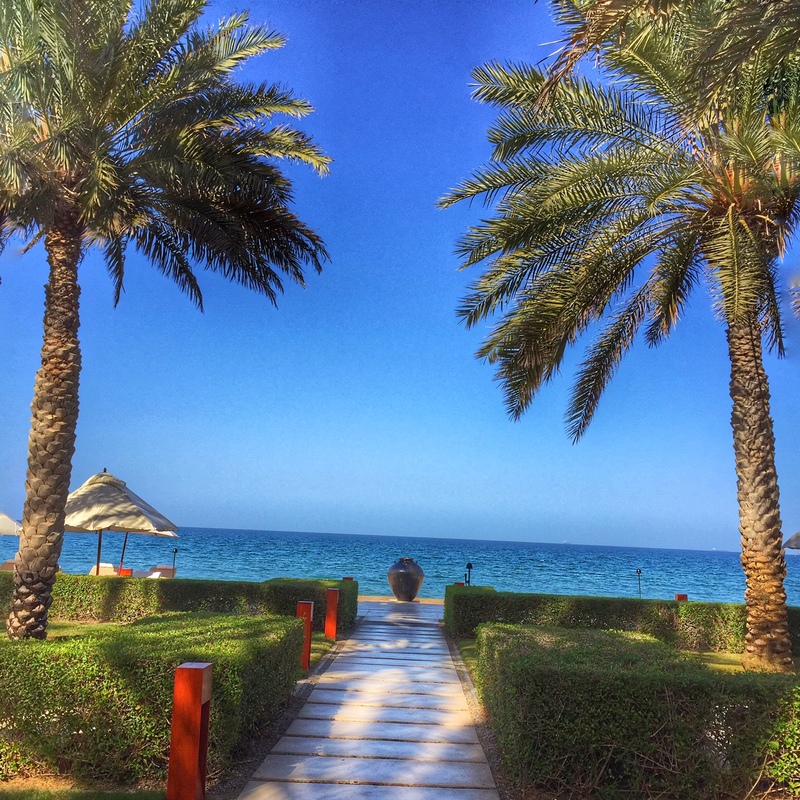 Is the Chedi Muscat Hotel Right for Families? 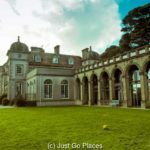 In this instance, conventional wisdom is probably right for families that like traditional family hotels. The Shangri La was more family-friendly with children’s menus and a choice of two hotels on the complex that catered to families. On the other hand, our children neither participate in kids’ clubs nor are particularly rambunctious. I was ready for a change of hotel after three days of dealing with other people’s kids. But that’s a story for another post. Of course, these two hotels are two of several luxury hotels in Muscat but we decided to stick with what we knew. We loved the Chedi Muscat hotel. 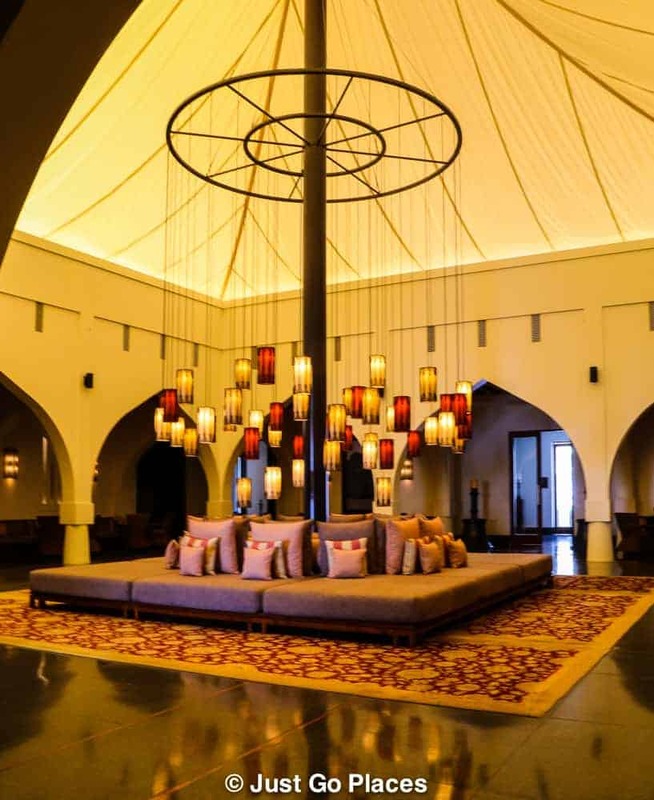 From what we could tell, our children were the only children at the Chedi Muscat hotel. There was one kids’ pool which was absolutely beautiful. Lots of adults sat around the kids pool since there weren’t any other kids there (other than my two, of course). The kids pool was enormous. 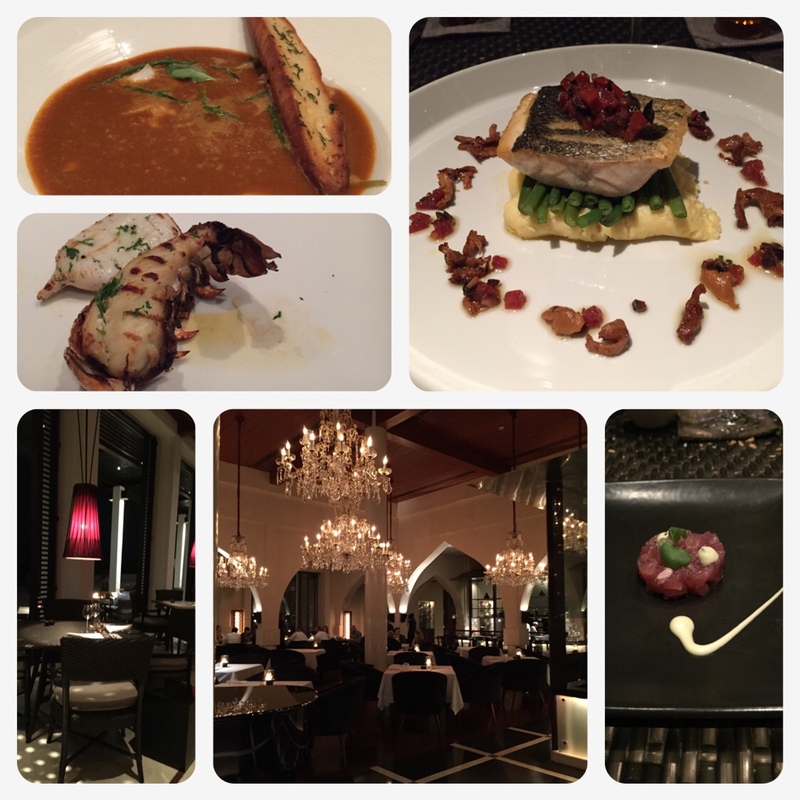 The food at the Chedi Muscat Hotel was excellent. We enjoyed our breakfast buffet every morning. In addition, we had lunch at the hotel courtyard restaurant and dinner at the Beach restaurant. A little decadence at lunch. The boutique at the Chedi was one of the best hotel stores I’ve ever visited. The items were beautifully curated. I did some major damage on jewellery, scarves and handicrafts. 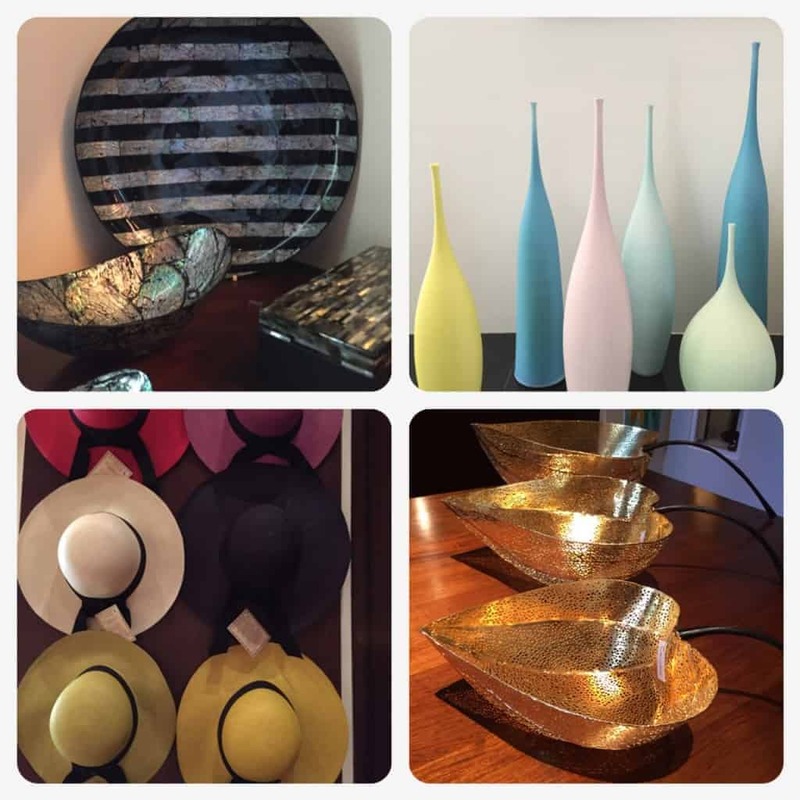 Some of the beautiful items in the boutique. We also arranged through the Concierge for a private tour of Old Muscat. I thought the service at the hotel was also excellent. 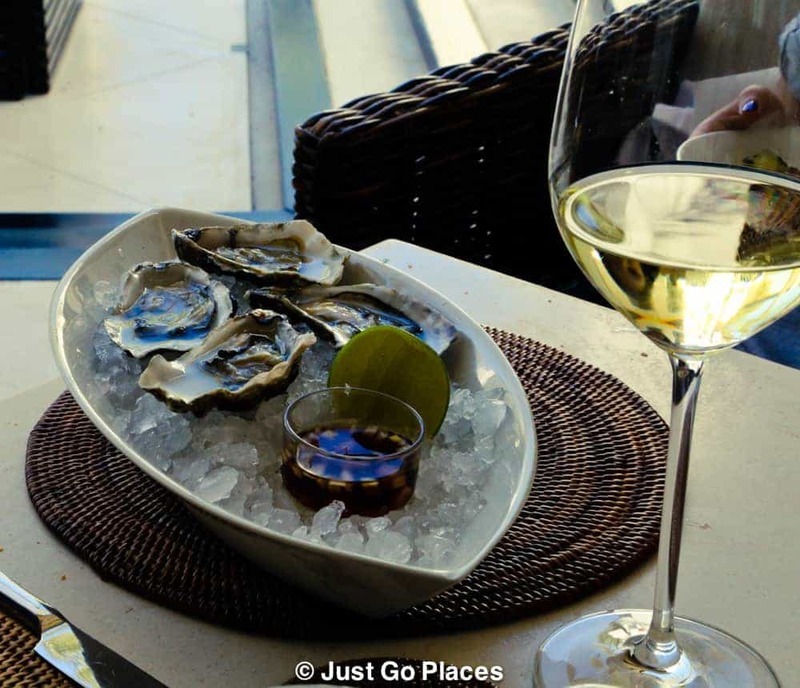 Although the Chedi Muscat is outside of the old town, it is only a short drive. The Shangri La is approximately 45 minutes away from Muscat by car. 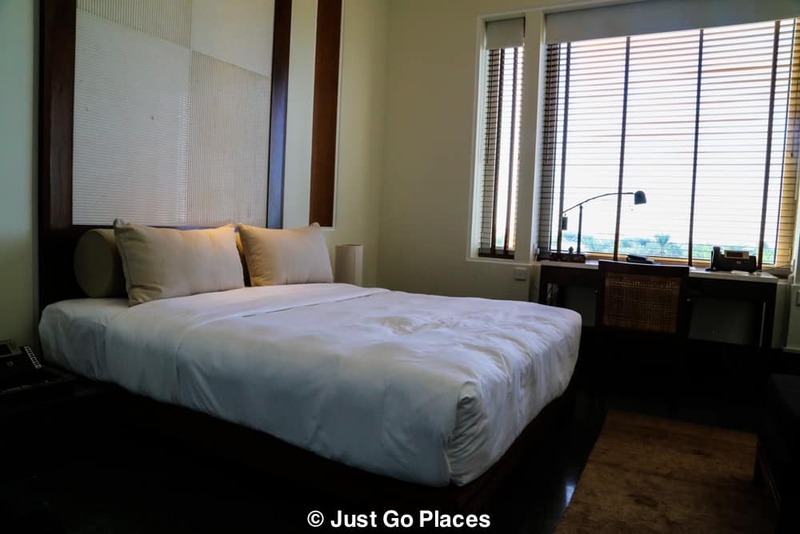 The hotel was beautifully decorated with a modern and minimal take on traditional Omani luxury. There were no shisha pipes on offer, and definitely, no ‘Moroccan or Asian takeaway’ in the bar areas. Also, unlike the Shangri La, it was way too cool for a piano bar. The beautiful lobby with its tented ceiling. Sleek bedrooms with minimal clutter. 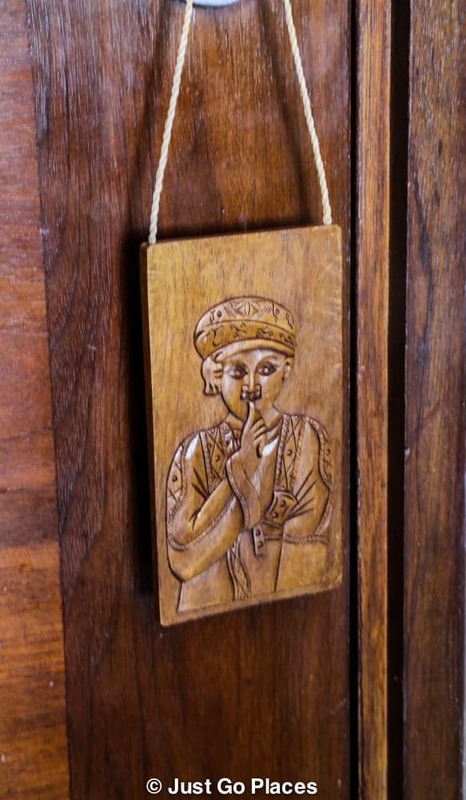 The do not disturb sign is beautifully crafted. The bathroom, closet, shower and toilet were all in one end of the room. The path to the hotel’s private beach. It’s all about the rest and relaxation here. You can safely assume that we preferred The Chedi Muscat to the Shangri La Hotel for our family. 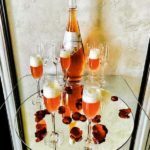 We liked the sophisticated, modern luxury and our children are used to hanging out in adult environments. Do I have any criticisms? 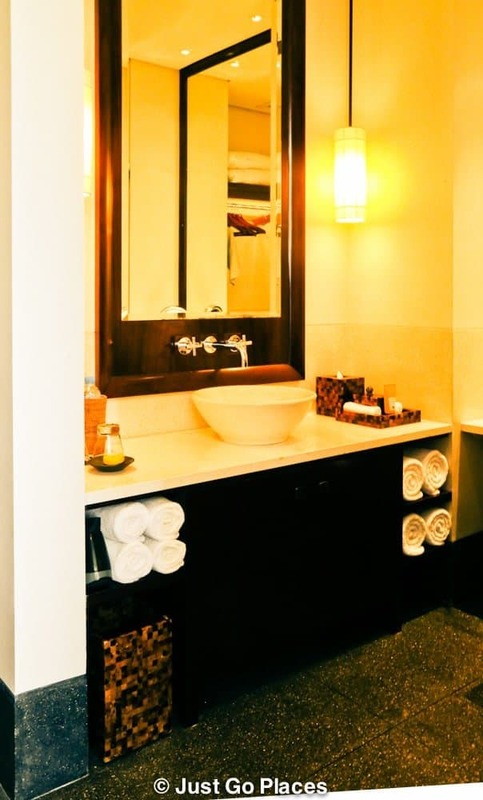 The hotel room and bathroom are semi open-plan. It’s a little awkward with children when you step out of the shower straight into a common area with no door. It’s also a recipe for creating major wet areas in the bathroom. Our room had only a shower (no bathtub). Our children are old enough for the lack of bathtub not to be a problem. What’s our verdict? 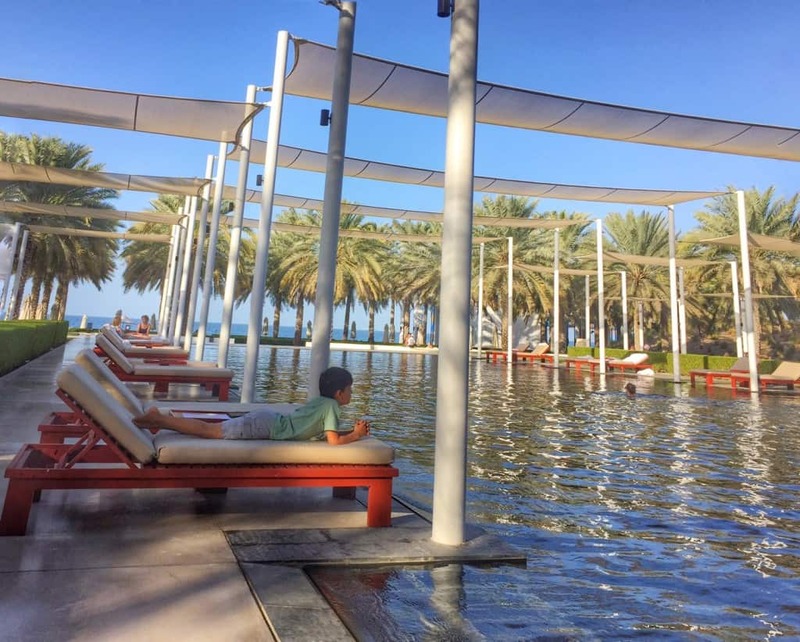 If your children are old enough to appreciate luxury and not to need all the amenities of a ‘family-friendly’ resort, I would definitely recommend The Chedi Hotel Muscat. This article includes affiliate links. Your clicks, purchases and bookings do not cost you any extra. 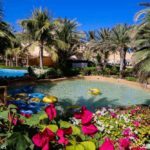 I stayed at the Al Husn property of Shangri La Muscat which is the adult’s only zone but we did go to the areas where kids are allowed but to be very honest, I didn’t really feel like I was in child-friendly environment as the resort was too big to be bothered by kids. Lol. Chedi looks amazing though maybe we’ll go and try it next time. My friend really liked Al Husn but we didn’t get to go there. 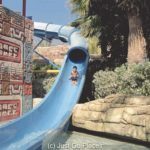 Shangri La has specific kid menus, a bouncy castle, lazy river and a water bounce thing that are geared towards kids tastes. The Chedi in Oman is such a beautiful place. 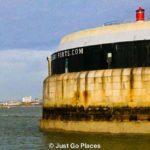 We thoroughly enjoyed our time there! It’s a great hotel and you’ll enjoy it more if you aren’t worried about monkey creating mayhem!